Perry Block - Nouveau Old, Formerly Cute: Lie to Us Too, Please! It never fails to amaze me how out of touch so many younger folk in the media are when it comes to we older Baby Boomers. Recently I was struck by an article appearing in Social Times, a MediaBistro blog, that purported to herald the good but highly shocking news that people in their mid-60's and above are actually "venturing" online, dipping their toes in the Internet as if it were the Atlantic Ocean on a February day at the Jersey shore. It appears that today's online elders were yesterday's professionals who picked up a few skills at the office before they retired." Now I understand at last: No wonder I always have the urge to drink a glass of warm buttermilk and make purring noises whenever I go on Twitter! Although the writer is a good journalist who's already kindly corresponded with me about the piece, most of her Boomer-related comments therein are as totally clueless as the hero in a USA Network cop show until everything's wrapped up in the last eight minutes balance of risk-free gunfire and over-the-top joshing around. Yes, 60 is not the new 40. But 60 is the new 6o, and we are not your father's Oldsmobile! Advertisers and marketers certainly don't get this. They forget that we Baby Boomers are the Woodstock Generation, not the Woodworking Generation. Most of them approach the Boomer market about as subtly as Mayor Bloomberg approaches a Big Gulp. 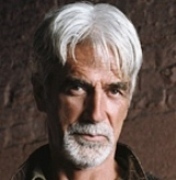 Yes, it's true that few of us look like Sam Elliott or Kathryn Bigelow. How many of you look like Zac Efron or Scarlett Johansson? Last time I checked Mark Zuckerberg was under 40. So is Jonah Hill. Yet young people in the media are almost always depicted as beautiful with gorgeous hair, terrific thin bodies, and super smokin' hot libidoes. So, lie to us too please! We are not your father's Oldsmobile. We envision ourselves more like his Lexus. Since you don't depict young people as they really are, please be kind enough to be equally as mendacious when it comes to we aging Boomers. 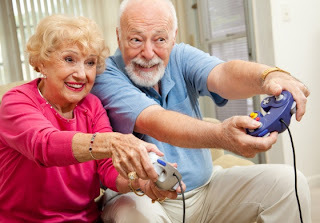 And if you lie capably and effectively and depict we 60-ish Boomers as we see ourselves --- not as you see us --- we'll buy boatloads of whatever the hell it is you're selling, even if its Metamucil, Depends, or Reverse Mortgages for every oldster's humble abode from sea to shining sea. you'll be lucky to sell us one sad single solitary stick of gum. Even if, God forbid, that's how we actually do look! 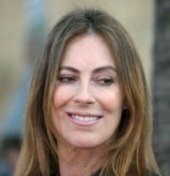 Note: Sam Elliott is 67 and director Kathryn Bigelow is 60. I've been told frequently I look like both of them. This is so good! We live in a town with an outrageous number of retirees, many who retired young and wealthy. What I've found is that everyone does a little of something, but not everything, so maybe one person does Facebook and email and another does Twitter and blogs. They are more selective, but certainly not out of touch or the weird gamers pictured in that photo. Thanks for the comment, Megan. I suppose every generation sells their elders short, but if Gen X & Y look at Boomers & see only fogeys, they just aren't looking! Now, who's going to let those two nice older women above know I'm not going to be calling?